WWT, founded and headquartered in the nearby St. Louis region, also becomes the official technology partner of the track and will use the venue to advance development programs for the company and its community outreach initiatives. The announcement was made during the 2019 Global Leadership Forum Summit taking place at WWT. The track plans to utilize the many advanced assets and knowledge that WWT and its partners are developing in an ever-evolving marketplace. From STEM initiatives, technological enhancements for fan experience or community outreach and diversity, the raceway will serve as a cutting-edge proving ground. The new partnership furthers WWT’s tie to racing, as the company is the official Technology and Analytics Partner of Richard Petty Motorsports and a primary sponsor of the team’s No. 43 Chevrolet in the Monster Energy NASCAR Cup Series. As part of the partnership, WWT provides data analytics, consulting and technology solutions to help improve performance for Bubba Wallace and his team. 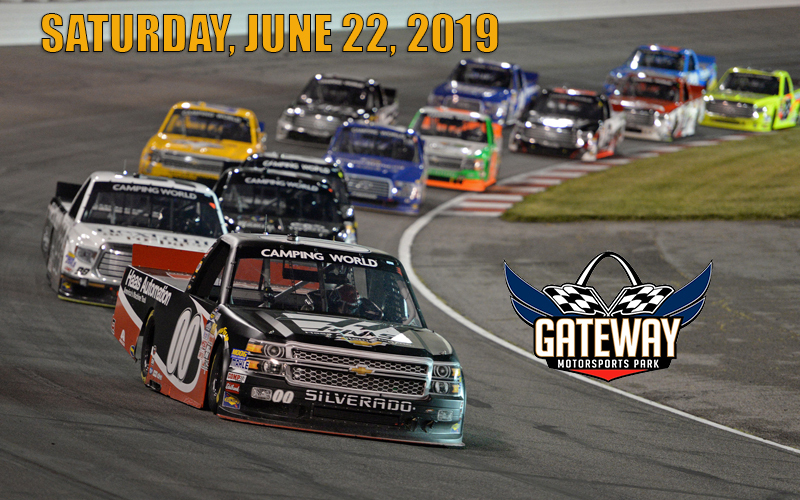 The track will host the Gander Outdoors Truck Series on June 22 at 10 p.m. ET (FS1).